On June 11, State Police received a call about a multi-vehicle accident. The accident was reported to the police around 10:50 in the morning. Upon hearing about the accident, emergency dispatchers were sent to the scene. The accident occurred on Expressway North at Exit 12: Neponset Circle. Once arriving at the scene, emergency responders found that one individual had suffered from injuries in the accident, and medical care was administered on the scene. The extent of the injuries is still under review. However, no fatalities were reported. The normal flow of traffic quickly resumed. Statements were taken at the scene by police. They receive statements from those involved in the accident as well as witnesses. 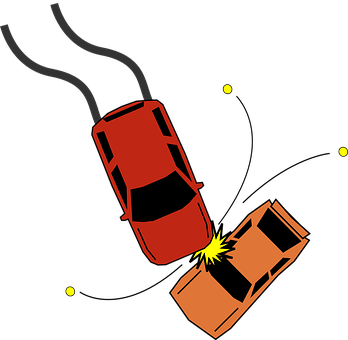 Car accidents can happen at any time, and they can often occur quite suddenly. The impacts of these accidents can be devastating and long-lasting on victims’ lives. When driving, it is important to remember that negligent driving can have severe consequences, and all drivers must remember that have a duty of care to drive attentively always. There is no excuse for driving recklessly, and we all must remember that our actions can impact our own lives as well as the lives of other people. It is vital that we all do our part to keep accidents from occurring. We all carry this responsibility. Thankfully, the injuries reported in this accident did not cause fatalities, but there are some car accidents that are lethal. We urge all drivers to remember this when they are behind the wheel. Reckless driving has possibly fatal impacts, and drivers must protect themselves and others by driving safely at all times. Victims who are injured have the right to seek compensation and assistance for their injuries so they can focus on the healing process. We at the Law Offices of Jeffrey S. Glassman know how catastrophic some car accidents can be. We are members of the community, and we are passionate about raising awareness of the potential impacts of car accidents. We know that, unfortunately, accidents can happen to even the safest drivers, so we are also here to help victims recover and get back to their lives.